Hundreds of COQUINAS of every color were washing up on the east end of the island (Sanibel) last week. We tried to be picky so we wouldn’t pick up too many of the pairs but after getting them home, I realized we had oodles of beautiful COQUINAS in every Crayola color. While Clark and I were on the COQUINA hunt, we met Doug and Amy visiting from Illinois. It was so nice to meet you guys! BTW, Doug reminded me that “There is no noise in Illinois”. LOL I don’t know why I can’t remember the silent “s”- heehee- sorry yall! Wow, those are absolutely beautiful!! Beautiful!! I love how you arranged them. Those are gorgeous…and the sand dollar is wonderful as well! You both have such a talent for finding beautiful shells!!! That is so beautiful just perfect!! I’ve been picking them up because the colors are so pretty. I have them soaking in some mild dish soap. I want to dry them, but I’m afraid the hinge will dry out and they will seperate. What does everyone do with these little beauties? Thanks so much for taking time on your mission for the Coquina to stop and chat! I brought back several of these and am going to attempt to make my daughter’s first initial out of them and then frame it. We will see how it goes! We let the coquinas dry flat with both halves of the shell spread out so that the shell looks like a small butterfly. When dry, the proteinaceous hinge will usually hold the two valves together, but it is brittle and will quickly break, if it is bent. Once they are dry, we use tweezers/forceps to handle them. Since the coquinas are so common, it is easy to forget how pretty they are. Got me a bunch last week. (including the ones Pam found for me) Couldn’t resist the beautiful colors. Thinking about making a ‘snow’ globe with coquina snow. Anyone ever tried it? Teeny with a bug WOW ! Love the colors and your always perfect subject line. Beautiful! Reminds me of the delight I felt as a child shelling in Sanibel for coquina’s. 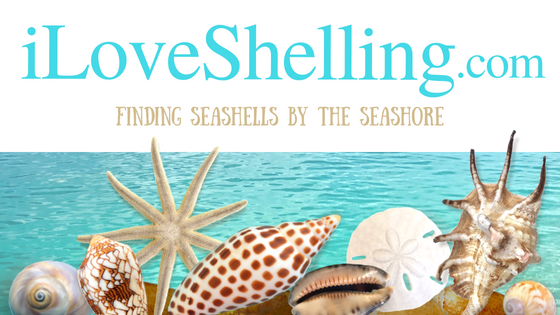 Happy Shelling! These shells are so beautiful. Love the striped ones. My husband and I are from Illinois too, but we tell people we live in the state of “Illness”. Hopefully in a few more years our new address will end with FL! Just gorgeous. The ones we have here in New York (Donax fossor) do have some degree of color variation, but they are mostly pale pastel in color, not nearly so intense. The ones in the Caribbean Leeward Islands (Donax denticulatus) are often rayed and they are quite sturdy nice little shells, again with some degree of color variation, but they are not nearly as pretty and as extreme in color as your Florida species (Donax variabilis)! Pam, you won’t believe what I have been sitting for hours doing. I have sat here for two nights gluing my coquinas back together. I picked up a bunch last week at the lighthouse, brought them home and washed them in mild soap suds and clear water. I continued to wash and rinse to get the inside stuff out. Once I tried them, most stayed together at the hinge. I could display them as the butterflies but how many could you do? Maybe a shadowbox full. So I decided to glue them together as whole to put in a jar. They look much better in a 3-deminsional state in a container. Cindy, from my perspective living in PA, Sarasota shelling is not too bad at all. My wife and I were on Siesta Key Oct 18 to 26 after the storm rolled through. On the high tide line on Turtle Beach we found 3 Scotch Bonnets (2 perfect), 3 Florida Cone shells, an albino fighting conch, several perfect paper figs, and many other treasures. It was one of the best shelling weeks we have had. Sometimes timing is everything. The best shelling was found going south on Turtle Beach a mile or two. We have been shellers (a number of trips to Santiva) for many years but the shores of Lake Erie are not that productive. I love the colors of these coquinas! We have a ‘Sanibel’ jar full of coquinas that we collected on our honeymoon!